With this list, BJP has announced names of 310 candidates for the general elections. 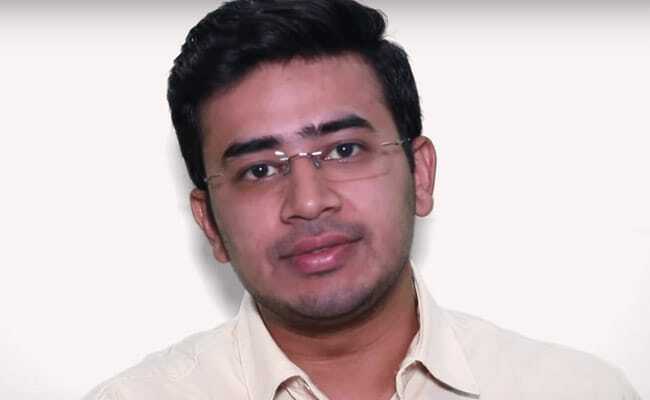 Tejasvi Surya will contest on BJP ticket from Bangalore South. The BJP Monday released names of four more Lok Sabha election candidates and announced its nominee for Odisha's Bijepur assembly constituency, the second seat from where Chief Minister Naveen Patnaik is contesting the state polls. In Karnataka, the BJP has fielded Ashawat Narain from Bangalore Rural and Tejasvi Surya from Bangalore South. Rajveer Singh Balmiki has been fielded from Uttar Pradesh's Hathras (SC) Lok Sabha seat and Rupak Sharma from Nowgong in Assam BJP's Sanat Gadtia will contest against Chief Minister and BJD chief Naveen Patnaik in Bijepur in the Odisha polls, which will be held simultaneously in the state with the parliamentary elections. Mr Patnaik, who is seeking a fifth consecutive term in office, is fighting the assembly polls from his home turf Hinjili and a second seat, Bijepur, in western Odisha.